I've been on a tear of making table saws recently. I don't know why these little saws were traditionally called table saws, but they seem like they would be handy to keep on your bench for quick utility cuts. This first one has a pecan handle and was made for a client in Illinois. 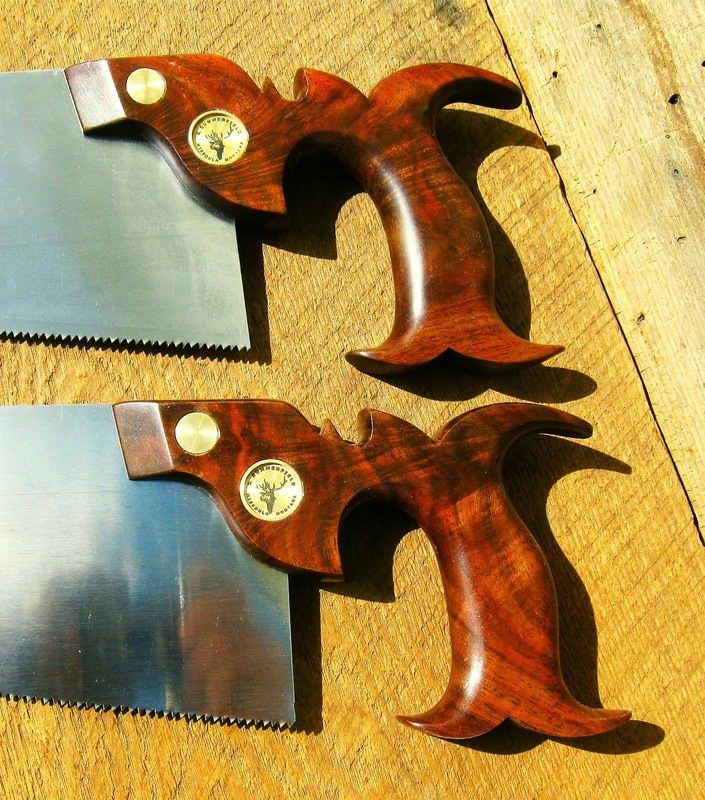 These next two have figured walnut handles and were made for the two sets of matching saws that I'm slowly working on. 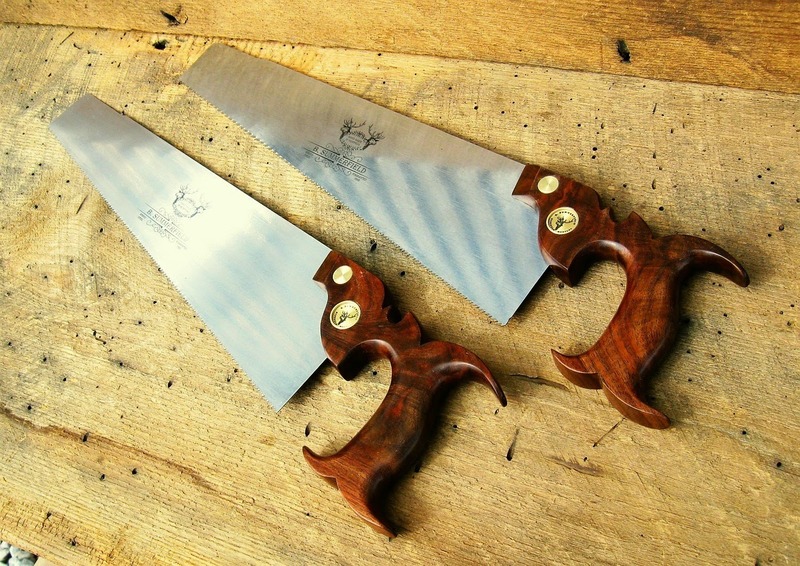 I've recently added a price schedule for new custom saws under the "Our Services" tab. Check it out if you haven't been there recently. 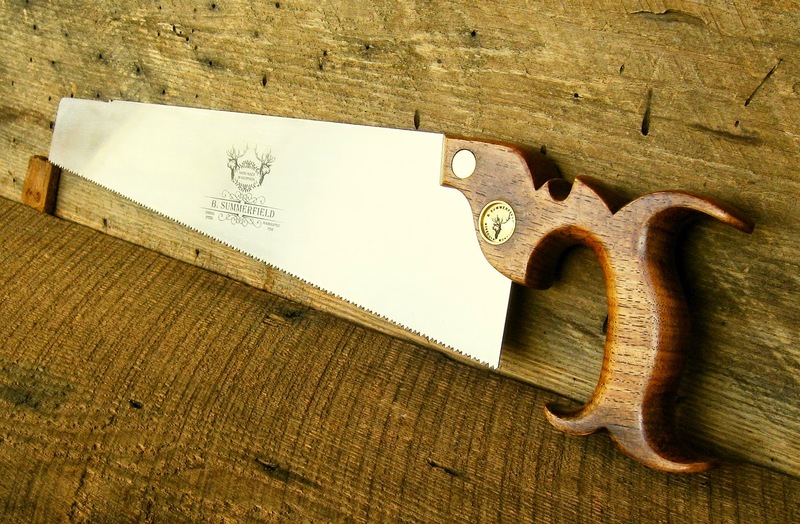 Finally, here's a cool saw that I recently restored. 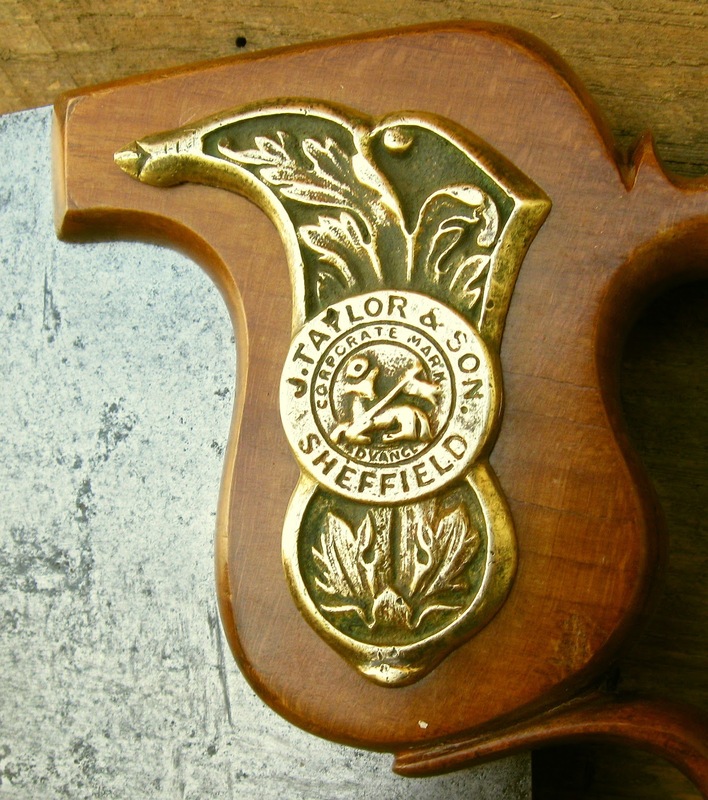 This is a J. Taylor & Son rip saw with cast brass side plate.